With the recent spotlight on referee performances in the 2018/2019 Nigeria Professional Football League (NPFL) and amid accusations of real and perceived bias; the latest being the threat by Bendel Insurance to withdraw from the league over unfavourable refereeing calls, Technical Adviser of Sunshine Stars Kabir Dogo has commended the officiating in his team’s 2-0 loss to MFM on Match Day 10. 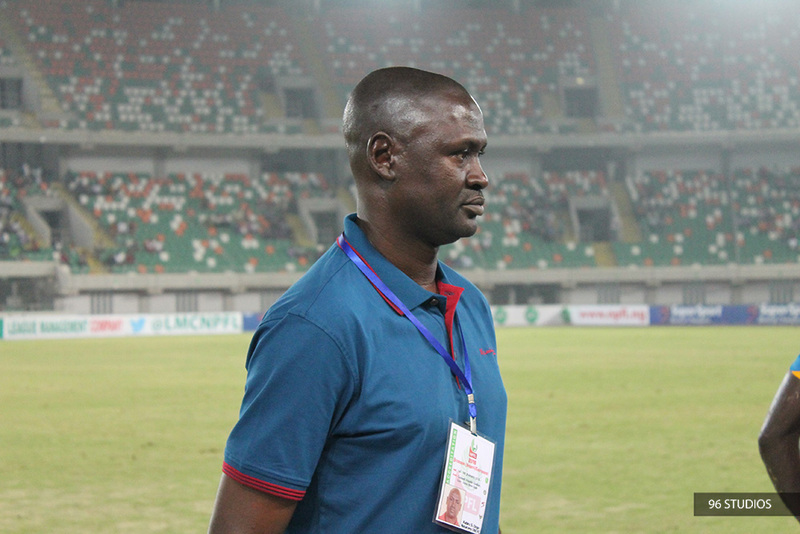 Ahmed Rabiu was the referee in charge of the South West Derby which was settled by goals from Kabir Adeniji and Michael Ohanu either side of halftime and Dogo believes fair officiating as was the case in his team’s loss, eliminates controversy, engenders trust and spurs teams to work ever harder because they know officials won’t work towards a preconceived end. Addressing the media after the match at the Agege Stadium in Lagos, Dogo praised the level of officiated and called on the relevant bodies to ensure such standards were replicated across the league on a consistent basis. “The referees have done a good job and they should just keep on like that,” he said. “At least everybody that watched the game knows that they tried, we are all human beings and we are bound to make mistakes but for the game I have to commend them and the [Nigeria Referee Association], [League Management Company] and [the Nigerian Football Federation] for a job well done. On his side’s loss to the Group A leaders, Dogo attributed the loss to a deficit in communication and lapse in concentration at key moments and identified Adeniji’s goal scored three minutes to half time as particularly injurious to his team’s chances. “Both sides played very well, no doubt about that, the only difference is the goal which even my side could have scored if they had the chance. [MFM] had their chances they took it but we didn’t make use of the little chances we had. “So, on our own part I will say loss of concentration and sometimes a lack of communication within the team like in our defence line,” he added.